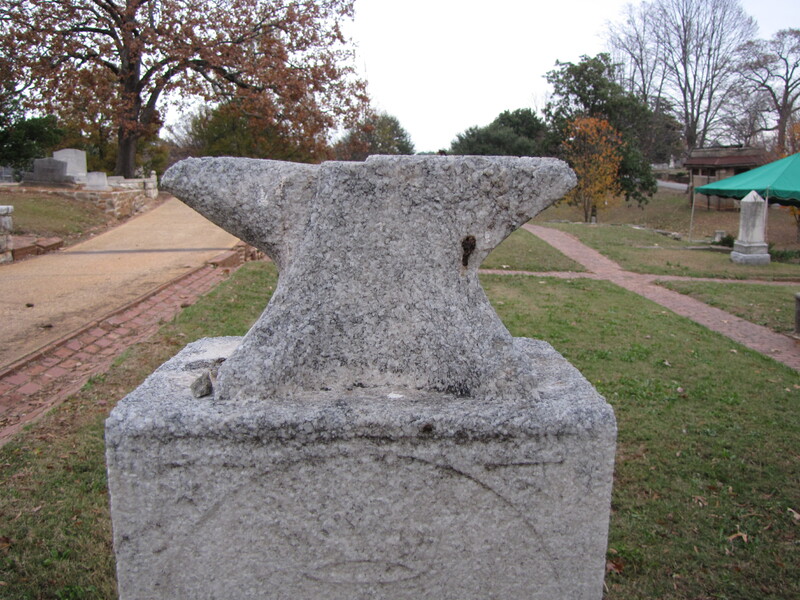 The anvil gravestone pictured above is in what is historically been called the Black Section of the Oakland Cemetery, Atlanta, Georgia. The monument commemorates the grave of Augustus Thompson (1837-1910) a prominent citizen of the city. 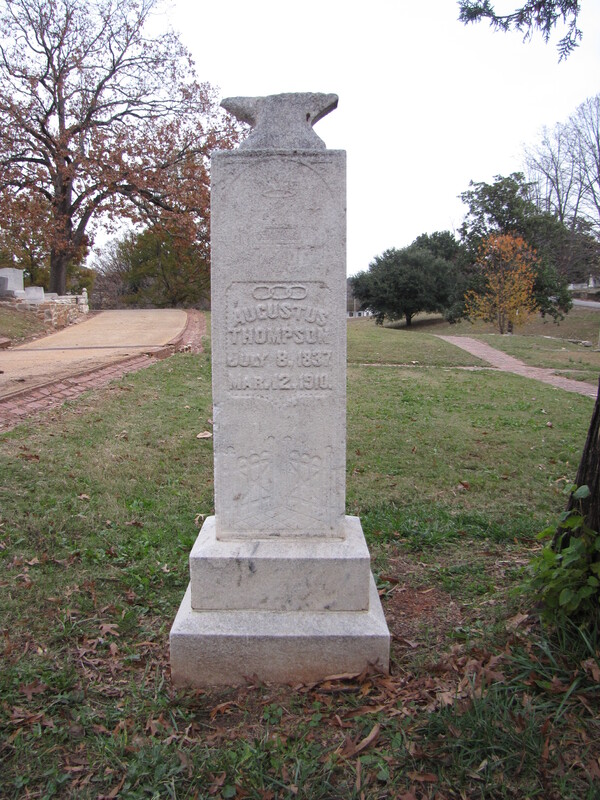 Thompson moved from Mississippi, out of slavery, to settle in Atlanta to work as a blacksmith, hence, the anvil atop of the gravestone. Anvil: The anvil is a symbol of universe being forged and can also represent martydom. Open Gates: Represents the passage from the Earthly Realm to the Heavenly Realm. This entry was posted in Famous graves. Bookmark the permalink.